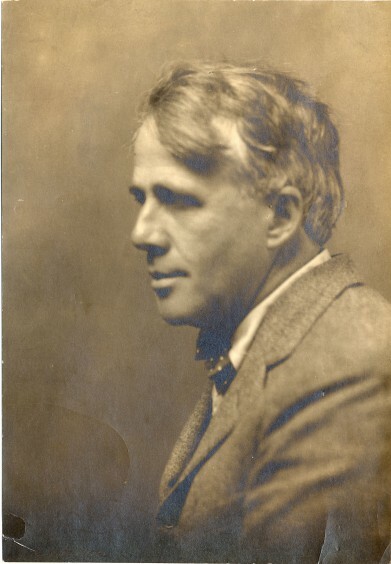 Robert Frost was one of my mother’s favorite poets. He wrote a lot about farms and farmers, trees and nature — all of which appealed to the farm girl in her. She transferred her appreciation of Frost to me. I like his poems a lot. At least some of them. For my money, “Stopping by Woods on a Snowy Evening,” is a near-perfect poem. It’s widely appreciated and popular, and it should be. It’s so simple that you might dismiss it as trivial. But there is a lot there. Frost captures the mood of the moment in time. The silence of snowfall. The primeval tug of the forest. The conflict between mundane duty and the longing for something more profound. The awareness of the inevitability of death. The repetition of “And miles to go before I sleep,” in the last two lines may be the most famous example of this technique in American poetry. It really brings the whole scene to a profound conclusion. And you get all of that and more out of a simple, everyday, rural event. I had been reading a lot of Frost when I wrote this.